We get a lot of comments about the price of edible insects. 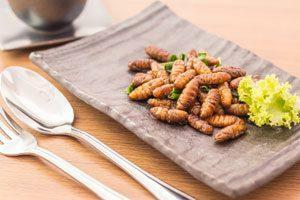 It’s true, edible insects are expensive right now. But, that will change due to the law of supply and demand. Supply is low and demand is growing. Market forces will bring the price down as suppliers gear up for higher demand. So, prices are high. You’re paying for a new experience and supporting a new industry. As a first adopter and market influencer, your experience is important and your story can help the industry grow. 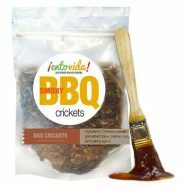 Edible insects have so much going for them. Yet, unwarranted cultural fears keep many people from the experience. Experience edible insects and tell your story. Again, as demand grows, prices will drop. 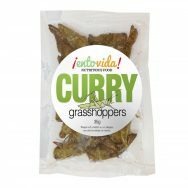 Pretty soon you’ll be buying a big bag of Chapulines from your local grocery store while mentioning that you remember when no one ate bugs. With all these different flavors of bugs available, it’s going to be interesting to see which ones become commercially viable. Will it be your favorite? Or, something you haven’t even tried yet?